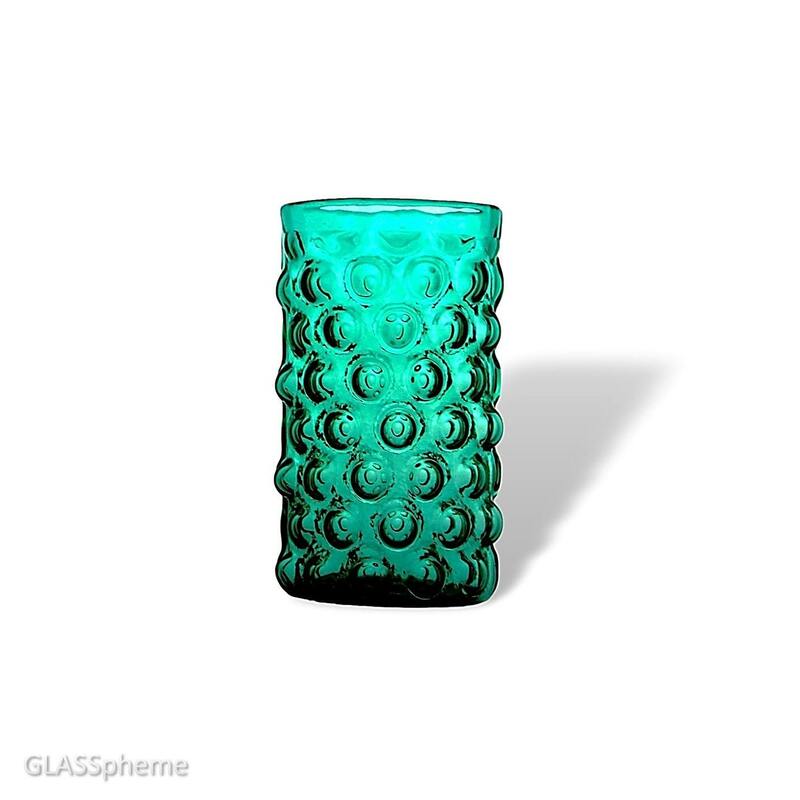 BLENKO's heavily textured #6041 Glass "Bubble Wrap" Vase, part of the "Vineyard" series of the early 60s, is one of the coolest pieces I've seen. Backlit, say in front of a window, the lines and contours the piece jump out in relief for almost a bright cartoonish effect in the middle of hum drum ordinary life. The art of glass is the shaping of light and color itself, and this is a perfect example of what brilliant design can do.